ELB can simultaneously process hundred millions of connections. ELB is deployed in cluster mode and can route traffic across AZs, facilitating disaster recovery. Incoming traffic is intelligently distributed to backend servers. ELB can work with Auto Scaling (AS) to flexibly expand the service capabilities of your applications. Diverse set of protocols and algorithms enable you to configure traffic routing policies to suit your needs while keeping deployments simple. ELB intelligently distributes traffic to ensure smooth running of application services. This makes ELB the right choice for websites with a huge number of simultaneous requests. ELB automatically scales according to changes in the incoming traffic. ELB can process hundred millions of concurrent connections. ELB distributes incoming traffic across AZs, facilitating real-time disaster recovery. Enterprises like banks can use ELB to ensure high service availability. ELB distributes traffic across AZs, ensuring service continuity even if an AZ becomes faulty. ELB works with AS to add more servers and balance the workload during promotion periods. Servers are automatically added or removed according to changes in the service traffic. ELB can process up to 10 million concurrent connections. Multiple encryption protocols and cipher suites are available. Fuzzy search and filtering of load balancers are supported. The size of files uploaded by ECSs is increased to 100 MB. ELB can process up to 30 million concurrent connections. ELB can process up to 60 million concurrent connections. The WebSocket protocol is supported. ELB allows forwarding requests based on the domain name or URL. Whitelists can be added to control access to listeners. ELB supports weighted load balancing. The UDP protocol is supported. Health checks can be disabled. The certificate content can be modified. Domain names can be used for HTTP health checks. TCP and UDP are used to handle services that have a large number of access requests or require high performance. HTTP and HTTPS are supported, and multiple encryption protocols and cipher suites are available for HTTPS to ensure service flexibility and security. ELB distributes traffic across AZs and ensures service continuity even if any AZ fails in the event of a disaster. Requests from the same client are forwarded to the same server within a certain time period to ensure continuous access. ELB automatically scales its request handling capacity and works with AS to add or remove servers to improve service flexibility and reliability. ELB interworks with AS to adjust the number of servers according to changes in the service traffic. ELB automatically scales to the incoming traffic to ensure user experience.  Users send HTTP/HTTPS requests for invoking HUAWEI CLOUD APIs to manage users' ELB, thereby flexibly performing operations on your applications, resources, and data in a rapid, accurate, timely manner. Use SDKs to make API calls so as to manage resources.